The ascension to the C-Suite is often paired with redesigned goals and ideas to ensure success in the new role. Fostering a successful transition can bring challenges as aligning others around those specific objectives is not always an easy feat. To combat these common struggles, it is best to establish a shared vision on company priorities. Aligning the organization to understand and believe in the strategic design of the organization is a critical component to build success when executives are promoted or have accepted a senior role. By creating an environment where employees buy-in to the vision of the company, executives will work to establish an immediate and long-term impact in the foundation of the organization. Accepting that the answers are not always clear, and can be a significant learning curve during any transition. Making quick and calculated moves to establish a trustworthy team allows for any executive to begin to influence others with designed support. Taking all of this into account, nothing can be done without the thought and preparation of self-readiness. By designating the appropriate amount of time to a purposeful tenure, ascending into the C-Suite will be complimented with proven results. 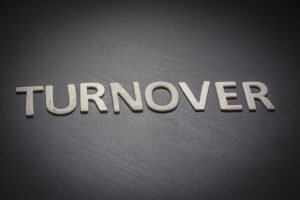 The connotations associated with “employee turnover” are often negative. From lost costs to disruption in an organization, employee turnover does have significant risks that test the strength of a company and its structure. What is often overlooked is the benefit that employee turnover may bring to the organization. Zappos, an online shoe and clothing store, has been widely praised for its mindset surrounding employee satisfaction. In 2015, the company began offering its employees exit payments, an incentive given to those who were interested in the company but decided it was not a right fit for them. This incentive lead to approximately 14% of employees accepting the offer. While some turnover is encouraged, the importance of organizational agility is two-fold. The ability for employees to manage their employment satisfaction translates into greater success, for those who stay with the company have a mindset committed to the company’s growth and future. Wiith the possibility of sporadic, unplanned position vacancies, positioning the business model to react and absorb any negative repercussions takes time, commitment and understanding. It is crucial to create a culture that recognizes employee turnover is not always negative but rather something that can offer a positive shift in skills, mindsets, and motivations for the workforce, ultimately lending to the success of an agile and proactive company. In recent months, top companies have been the topic of conversation because of errors that were made. Now, it is up to other companies to learn from their missteps to avoid the same downfall. Since February, the ride-sharing service, Uber, dealt with charges of sexual harassment, disparagement from top management, a federally-charged criminal investigation and publicly shared internal emails encouraging the use of drugs and sexual relations between employees. These conflicts all pointed to weak leadership values as the CEO eventually took a leave of absence in June. Uber’s weaknesses highlight the impact that leadership can have on company culture. By establishing a base of active and value-focused top management, companies will succeed from the top down. Another scandal that shook the business world was the 2016 Wells Fargo scandal. Found guilty of creating millions of unauthorized bank and credit card accounts, Wells Fargo paid more than $150 million in fines. And, amidst the spotlight shining on its practices, Wells Fargo was recently reported as having charged auto loan customers for unneeded car insurance. Nonetheless, some key players are still being compensated despite the hailstorm brought to the banking industry. Not only does it fall in line with leadership failures, but by holding Wells Fargo executives accountable, the company could have avoided the latest news reports. It is important to look at all factors at stake and take corrective action on those that should be held accountable. While the Uber and Wells Fargo issues could have been stopped through past choices, Samsung’s Galaxy Note 7 nightmare was something that could not have been predicted. The way Samsung addressed the issue is something to learn from. After reports of the Galaxy 7 catching fire, Samsung posted a statement telling owners to power the phone down immediately and obtain a refund or exchange. That message, however, was posted discretely to consumers – fielding issues of secrecy and complexity. Not only did this cause users to be wary of Samsung products but it lessened the amicable relationship between Samsung and its carriers. By preparing for the worst and placing a priority on public relation messages if anything should go wrong, companies have the ability to come out of any controversy, successful and stronger in the eyes of the public. Corporate America has begun to transition into a new way of thinking for employees. The days of lifelong careers are no longer in sight as “over seven million of today’s jobs are expected to disappear by 2020” (SagePeople, 2017). Employers have been forced to make a swift adjustment to cater to the disruption of the work force. By transforming the current employee mentality, employers will be able to evolve the company to match the new revolution and alleviate the risk of failure. As the need for instant gratification grows so does the eagerness of employees to experience many different roles to see what fits best. Employees are looking to expand their skillset and transition horizontally, being less focused on vertical advancements but interested, rather, in lateral changes. A higher value is placed on unending learned and development, acquiring new skills as they transition within their career. This change in mentality is a great opportunity for employers to adapt and face the challenges head on. Proactively engaging employees and offering the opportunity for optimum success will counteract any downfalls that may be experienced. With a constant rotating employee pool, recruiters can more selectively pick talent lending the chance to establish a workplace foundation focused on staff retention. 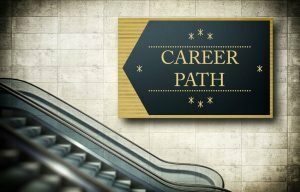 Employers can begin to mold key positions and mitigate the potential hit of the shifting employee mindset by identifying the key roles that are going to bring success in the future and pinpointing impactful skillsets. Abilities such as creativity, logical reasoning and problem solving will be held at a higher regard in future occupations (SagePeople, 2017). The change of the workplace is inevitable and evolving quickly. Focusing on meaningful position development and employee support will help relieve the impact of the predicted unsettled employee mindset. Should Candidates Consider Opportunities at Different Compensation Levels? 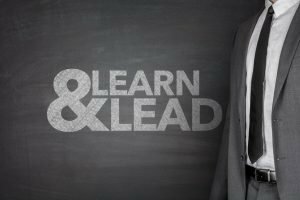 Innovative Leadership – What do Companies look for?